We love educating children and teens so they can be well-rounded contributors to our community. At Melody Lane, it’s about the life lessons as much as the performance skills. To learn more about the dancing, singing, and drama courses we offer at Melody Lane, please get in touch or check out our FAQ section below. We've recieved your message and we'll be in touch soon. If you need more immediate assistance feel free to call our office at 509-243-9623. How old does my child have to be to enroll in class? Can my son join a dance class? How does the 7-day free class pass work? Is Melody Lane a recreational studio? Why should we choose Melody Lane for dancing, singing, and drama lessons? Can we visit the studio and check out the facilities? What happens if my teenager wants to start dancing for the first time? We welcome children of all ages, as long as they’re standing! Yes, of course! We have a boys only hip hop class and we welcome all genders into our other dance classes! When you and your child visit the studio, let us know it’s your first visit. We’ll sign you up for a 7-day free class pass that is good for a week from your start date. After this pass expires, you will need to sign up for a membership or pay the per-class fee. While Melody Lane is a non-competitive studio, we believe in cultivating and educating well-rounded performers. 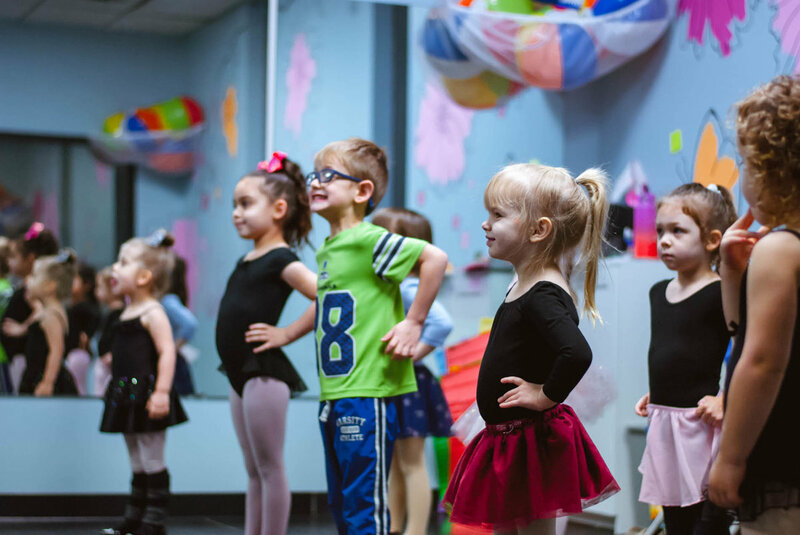 We’re the only triple-threat studio in the Yakima valley offering dancing, singing, and drama lessons with a track record of nearly 40 years in business. Yes, of course! Our office is open Monday-Thursday 11:30 am-7:30 pm. You can come in anytime to see the facility! We often recommend stopping by after 4 pm so you can see classes happening. Yes, we offer a free 7-day class pass! Once we determine what class your child would fit into best, we’ll set you up with a class schedule so your child can try the class for free! We offer automatic payment so you can choose to have tuition taken out of your account on either the 1st or 15th of the month. Melody Lane is the only triple-threat studio in Yakima! We offer Dance classes, Musical Theatre classes, Drama classes, Melody Lane Singers Group, and Private voice, guitar or piano lessons! We would have to start them in a beginning or intermediate level class. While they may be older that the rest of the class, with hard work they can advance fairly quickly. Your other option is to have your child take private dance lessons from one of our teachers to get them to the level they desire.